Do you need a local estate agent in the Herne Bay, Whitstable or Canterbury area? Thinking of selling/letting your property? Through 99home.co.uk - the online estate agent, my expert knowledge and years of experience of marketing online, I can sell or let your property quickly and at reduced cost. Sell from £99 or let from £49. I have extensive knowledge of the local and surrounding areas, having lived in Herne Bay for the past 20 years and in East Kent all my life. 99home is a new way of selling or letting your property. You choose what elements of the sales process you want to carry out yourself, thereby saving lots of money, or we can handle everything, just like a normal agency but with reduced cost. Choose from three different packages or customise the services you need. With expert help along the way your property gets listed on all the important property sales portals, such as RightMove and Zoopla. For a free, no obligation chat about how it works call me on 07949 430339 or head office on 0203 5000 999. >> Start selling your property online, place your advert now. Are you looking for a professional, reliable and trustworthy Herne Bay estate agents? Click or call me to start selling or letting your home. We market, you do the rest. You host viewings and we do the rest. You host viewings and we do the rest! IMPORTANT - The above is just a summary of the main packages, you must check the 99home.co.uk website for full details, terms and conditions. If you need a EPC they cost £79 (up to 4 bed property). On the 99home website, notice that you see the price for everything - no hidden fees, everything is crystal clear, unlike many other agents. Unlike a lot of traditional estate agencies in Herne Bay who have a "one package fits all" approach, with 99home.co.uk and myself you can customise the services you need. e.g. Do you want to do your own viewings and save money? No problem! Want to take your own photographs and save money? No problem! There is nothing more frustrating than not knowing what the current situation is with the sale of your property. I totally understand this and will ensure you know what is happening. If I'm unavailable, you can contact the call centre which is open during weekends and evenings. This also makes it easier to get your queries resolved outside of working hours unlike many high street estate agents. 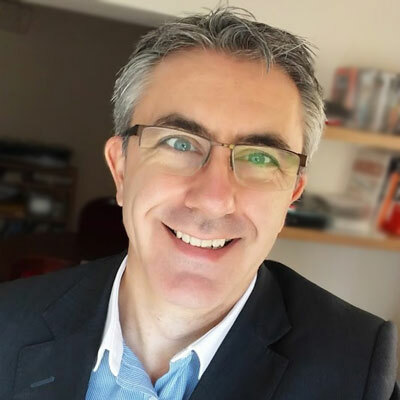 I live in Herne Bay and am part of the local community... your local area, meaning I understand exactly how the local market works and am able to match the perfect buyer to your property. With our low fees (starting at £99!) you save big. We are normally cheaper than high street agents who charge a percentage fee, whereas as online agents, we charge a flat fee. The more expensive your home is, the more you save by paying a flat fee. It takes a few minutes to create your free account on our cloud-based online website. You can upload your property whether it’s for sale or rental in only a few minutes. This saves you time, leaves you in total control and by using our online tool your can manage your own property in comfort 24/7. But remember, I'm here to help if you need it. You can contact Haydon on 07949 430339. Outside of business hours call 0203 5000 999. 99home.co.uk is a revolutionary online platform for sellers, buyers and landlords. Estate agency is changing and it's time to save big and be part of the technological revolution. 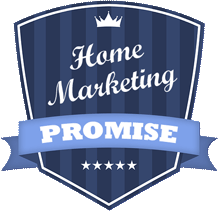 99home promise to market your home until it’s sold. Your property will be listed on the major online real estate portals like Zoopla and RightMove. The 99home team of estate agency professionals have more than 25 years experience and are readily available at your service and will provide you with all the necessary support. If you are thinking of moving to Herne Bay then check out my Herne Bay Area Guide. 99home.co.uk is a member of The Property Ombudsman.